Jason Kravitz (Brussels, Belgium) on 26 May 2006 in Cityscape & Urban and Portfolio. I learned that you can make a pretty sharp HDR without a tripod using auto bracket and burst mode so you fire off three quick shots at different exposures. Beautiful. I thought you were building your HDRs with one RAW image (on different exposures). Its so so so unreal. It very strange to see womeone else's HDR. We should have a common HDR section in Aminus3. The collection would be good. The picture seems to be a mix between B&W and color picture. Beautiful shot, Jason. 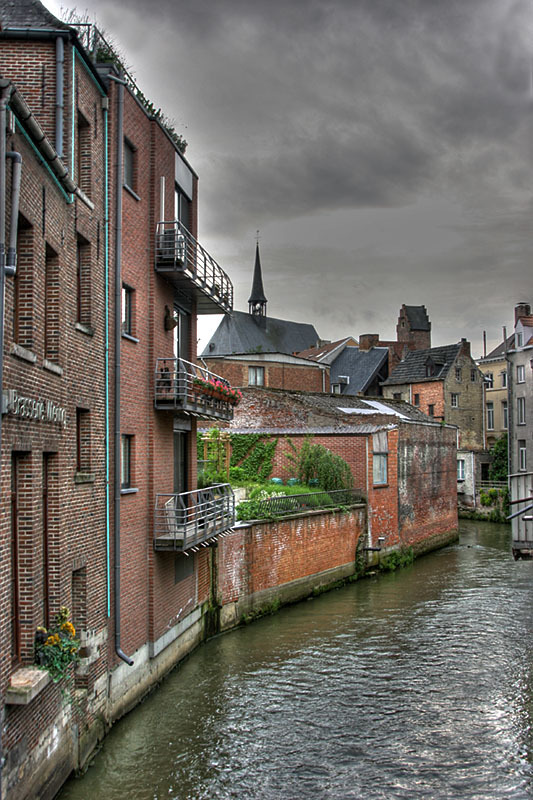 Such an interesting collection of buildings, canal and sky. So many colors to absorb!